Stephen Gladstone has been inspecting homes since 1983 and is the President of Stonehollow Fine Home Inspections a multi-inspector home inspection and environmental testing company. He is licensed in CT, NY and MA. He has served as President of both the Southern New England and Coastal CT. Chapters of the American Society of Home Inspectors & was ASHI\\\'s National President in 2004. Steve was Managing Instructor & Campus Director of Kaplan Professional Schools (ITA) in New Haven & Manhattan for 6 years. And was the Managing Instructor of The \\\"ASHI School\\\" in Stamford. In 2014 he opened the New England School of Home Inspection and offers Pre-licensing and Continuing Education classes. He has his Masters & ^th year degree in Education and has written many articles for local papers, been nationally interviewed in Reader\\\'s Digest and The Wall Street Journal, featured on \\\"Ask This Old House\\\" tv show, and many syndicated radio shows. 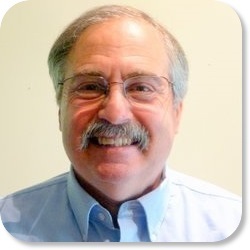 Steve is a contributing author for the ASHI® Reporter and many other periodicals. He wrote \\\"The Field Guide to Home Inspections\\\", (John Wiley & Sons), in 2012. He has produced & hosted his own Saturday morning radio show \\\"Around the House with Steve Gladstone\\\" in CT & NY for the past 15 years. He is a Supervisory Pest Inspector, Infrared Thermographer and Nationally Certified Radon tester. He lives in Stamford CT. with his wife of 44 years and his extended family. He is also the President of the Belltown Volunteer Fire Department.